The Coventry and Warwickshire Aerospace Forum (CWAF) is a group of world-class manufacturing businesses working together and collaborating with leading UK Universities and Associations that brings together over 500-years of combined Engineering Knowledge and Manufacturing expertise. Formed in 2008 with ten original company’s specialising in all facets of the Aerospace industry and Supply Chain Solutions. The CWAF has now further developed the group by establishing links with three new invited members – ActOn Finishing, CFS Aero and Tenencia. The Forum members (or cluster) now have a turnover in excess of £100m and saw turnover grow by 15% last year. 2013 is expected to see growth of over £20m throughout the members resulting in employment for circa 50 new employees. Every company within the cluster is already a strategic supplier to many Global Aerospace Companies locally positioned in the Coventry and Warwickshire region and nationally throughout the UK. The cluster is surrounded by a good local supply of engineers due to the historical Aerospace heritage of the area. The CWAF is believed to be the most mature Aerospace cluster in the Midlands. This is of particular benefit to the OEM’s as the cluster offers the full range of Supply Chain Solutions and requirements of the Aerospace Industry, backed up by international accreditations (AS9100 & NADCAP) coupled with individual Customer Approvals. 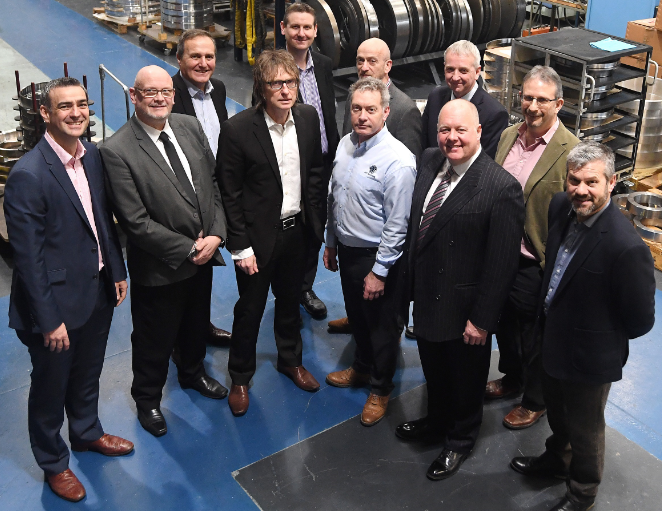 “It’s been a real pleasure working with the CWAF, they really share our vision and enthusiasm for supporting the SME community along with implementing innovative solutions to improve manufacturing processes. They are currently working with us on the CASiM² project where MTC Engineers are working with them to improve production processes. MTC were also pleased to be able to support the CWAF in reaching out to young engineers of the future, joining forces for their CWAF & MTC Engineering Showcase, giving enthusiastic presentations to pupils from local schools to encourage them into careers in engineering. The group also promotes and shares best practice between each other and boasts numerous SC21 awardees with all 13 established on the SC21 programme. Recent Bronze award winners include Technoset, JJ Churchill & PowerKut. All CWAF companies are AS9100C accredited. The group focuses on the ever changing demands of the Aerospace and Defence sectors – strategically aligning their joint capabilities in order to deliver all facets of CNC Precision Machining Services, Surface Treatments, Testing Services, Prototype, Design and Project Management plus Mechanical and Electrical/Electronic Sub Assemblies for in-flight and on-ground applications. The group work individually or collaboratively to ensure the customer needs only one point of contact; whether it is a single enquiry for a make to print precision machined component or a more complex engineered solution – the group maintains a focus on the key drivers of quality, cost and delivery. Click on a company logo to find out more about each company’s capabilities. Since their launch at Farnborough 2010, the Coventry & Warwickshire Aerospace Forum (CWAF) have demonstrated a progressive approach to collaborative working which sets a great example to peers within the SME community. Every CWAF member is accredited to AS9100, all have deployed the SC21 framework, with four already gaining national recognition awards, and they regularly gather to share best practice between themselves. Because of this, they’re frequently cited as an example of successful clustering and are called on to provide an industry voice to the public sector at a local level. CWAF members have been invited to speak with government ministers on numerous occasions, have twice been invited to present at national task force meetings by the national industry body (ADS), and maintain a strong link with their regional trade association, Midlands Aerospace Alliance, through participation in regional working groups.